(2) We assure 100 % Confidentiality and Privacy in processing all our Rercruitment / Search assignments. • Cross Functional and Leadership / Core Competencies, Adaptability, Cultural Diversity etc. • Street Smart Personality and Thought Leaders with a fire in their belly. • Passion to dream and think big and motivation to chase and hunger for big success / achieve impossible goals / tasks. 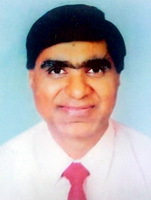 • Possesssing their excellent / good academic record/ premier Engg / MBA Institute background. • Initiative to take up the National Level - Challenging / Leadership / Country Sales Head / CFO / CEO / CMO / VP / GM roles in a short span of time. • Willingness to Travel atleast / approximately 25%- 50% time, especially for Top / CXOs / GM / National Sales / Regional Sales Head etc Professionals. (4) Offer Advantage of dealing directly with President for meeting your Top / Senior Management / GM etc Level Professionals requirements. (5) Maintain Active Database of 40,000+ Verified and Pre-assessed Candidates with RPSFTSMOP / Provide Quality Resume of Specific Product / Industry / Technology / Knowledge / Telecom / Networking etc Skill set specific experienced Managers to GM / Top Mgmt Level Professionals in the area of Sales, Marketing and Business Development / Accounts / Finance / Networking / Systems / HR / SCM and Logistics etc. (6) Enable you to talk to Director / CXO / GM etc Level right job fit candidate directly who has not floated his/her resume on General Job Portals / Websites and does not apply / respond to the walk-in Interviews and General Newspapers / Appointment Advertisements. (7) Enable you to quickly reject / select the candidate and finally hire the people you want and save your time, money and efforts. (8) Add select High caliber candidates in our Databank by using simple HR Selection / Testing Techniques and at present we are adding only 15-20 Resumes with PEID every month. (9) Use Proactive and Focussed Professional Networking References / Headhunt approach to quickly identify / locate hard to find candidates and introduce the right candidates profile and promote your company profile / image to identified candidates to enable you to gain competitive edge and act as a Brand ambassador for our clients. (10) We have a select and wide network of Top / Senior Management Level Professionals and know where and how to find Top / Senior Management / Country Sales Manager / CFO / CEO / CTO / CIO / VP / GM / DGM etc Level Professionals and Leadership Talent / Top and High Performers. (11) Have established a respected reputation and goodwill in the Telecom / ICT / Electronics / Power / Lighting / Energy / Electricals / Networking / CD / FMCG / Engineering / Infrastructure / Financial Services / Realty etc. industry and MNCs and are familiar with above-mentioned specific industries and competitors market developments and salary standards. (12) Offer Personalized / Friendly services and act as your trusted Business Partner / Advisor / Resource Center for handling Business Critical and Sensitive positions and would never compromise in the quality of our services and believe in excellence. (13) Maintain confidentiality of candidate  employer  consultant meeting and recruitment assignment. (14) Treat all our clients and candidates with respect, courtesy and decency and maintain professional conduct at all times and handle/ deliver each assignment with honesty and integrity. (15) Carry detailed in-depth reference / general verification and family background checking / skill assessment etc. on request of clients and don't compromise on Selection / Hiring Standards. (21) We prefer to say no than to make half hearted efforts. (i) (a) Our Professional Fees varies between 7% to 10% of the Annual CTC to the client for per candidate selected (which is always around more than 25% less) as compared to any Large / National level or Foreign / International / Global Executive Search / HR Consultant and Headhunter / Management Consulting / Accounting firms) especially in the event of hiring Top Mgmt / Director / CXO / CFO / CEO / CTO / CIO / GM / DGM / National Sales Head / Regional Sales Head etc level Professionals. (b) Alternatively, Clients may also Email the copy of their standard Terms and Conditions / Professional Services Fees Agreement for our Mutual Approval / Acceptance and Signature. (ii) Our Professional Service Fees are success based and we get paid only if the positions get filled and do not charge any Advance fees from New Delhi / NCR based clients (Except for Top Mgmt / CXO / CFO / GM Level Search / Headhunt for Metro based Clients / Assignments on case to case basis and based on Search value / CTC offered / Position Level / Grade Job Location / Type and Size and Annual Turnover of the Organisation / Complexity of the candidate profile to be sourced and Number of Positions to be filled etc). (b) We Process all Mid - Senior Level Managers / Regional Sales / Functional Heads etc Level Requirements within 6-8 days time after receiving client specific manpower requirements alongwith complete profile of the client website address, Mangement / Directors etc Background, Annual Turnover for the last or current Financial year / CTC / Take Home Salary along with Perks / Allowances etc offered details / Contact Person etc details Mentioning your Website Address, Annual Turnover, Salary offered Details, contact person etc. (b) Avoid Searching / Screening hundreds and thousands of Irrelevant / Bogus / Fake Resume / Responses and Junk Emails received by them from all over the World, India and Remote Locations. (d) Avoid Wrong and Bad and Mishiring. (e) Avoid Delay in Recruitment / Filling of Specific Positions which may further result in loss of their Business, Customer Goodwill and delay in Project Implementation. (f) Reduce their Recruitment / Training Cost / Hiring Cycle by 40-50% and reduce High Attrition of your Key Employees and Top Performers. (g) Offer Negotiating Skills for acceptance of your Compensation / Salary Package offer to Prospective candidates / Top Performers. Payment of our Professional Recruitment Service Fees have to be made within 4-5 weeks of the candidate joining your organisation and Invoice would be raised within 7 days of the candidate joining the services. We give Guarantee to our Client that we will not Headhunt / Source or Poach / absorb any personnel / Candidate from your organisation. However, this would not cover your employee coming to us on their own against our Advertisement / Job listings or having heard about our recruitment consultancy through Search Engines / Industry and Client Recommendations / References & Social Networking Sites such as Linkedin etc. The resume sent to you by the consultant against your confirmed Email requirement would remain our property for 6 months. The Client / Employer will have to bear the current Govt. notified Tax etc. (xi) Professionals Ethics : We follow all the norms of Professional Ethics in Executive Search, Recruitment and Management consulting / Coaching / Career Advisory / Consulting etc and ensure no recycling of candidates once placed through us.